The majestic 'Sesatha' conveys the traditional connotation of wealth and denotes the bliss of prosperity. It also signifies plentiful life with perfection. 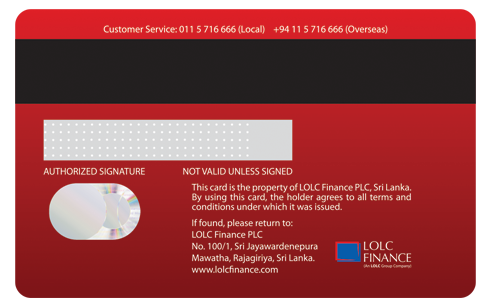 As your credit card partner, we at LOLC Finance invite you to step into a way of life filled with happiness and bliss coupled with an array of benefits and exclusive global privileges. 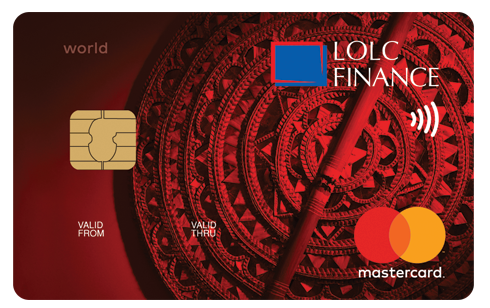 With the greatest standards of security, maximum convenience and worldwide acceptance, utilise your LOLC Finance Mastercard World Credit Card to 'Fuel the goodness in you' by radiating your inner happiness to everyone around you.